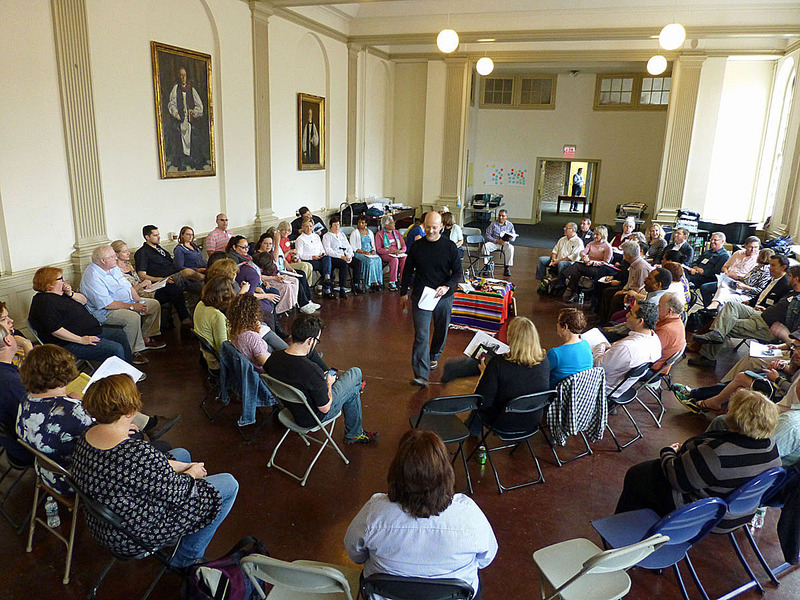 [Episcopal News Service] The current versions of new church starts in the Episcopal Church don’t all look like the ones that were formed during the last big push Episcopalians made 60 years ago. Plus, the strategies aimed at helping these new efforts succeed are broader and deeper. Based on long-term companionship and support from across the church, help comes not only in the form of money but also through assistance in discerning a call to such work, assessing the gifts and skills needed and available, coaching, and forming communities of like-minded evangelists for prayerful and practical support. Beginning today, the Episcopal News Service will bring you the stories of six of these new and continuing ministries. They are Appleton Episcopal Ministries in Macon, Georgia (Diocese of Atlanta); Bread & Roses in Charlottesville, Virginia (Diocese of Virginia); The Divine Office in Santa Monica, California (Diocese of Los Angeles); Extending the Table in Stevens Point, Wisconsin (Diocese of Fond du Lac); St. Gabriel’s Episcopal Church in Leesburg, Virginia (Diocese of Virginia); and Warriors of the Dream in Harlem (Diocese of New York). The stories have an eclectic mix of settings: amid meals and ministry with Lutherans in Wisconsin, in a co-working space near the beach in California, around a drum circle in Harlem, at a Freedom School in Georgia, in a Hispanic congregation planted in the midst of an aging Anglo church outside Washington, D.C., and among raised beds and cooking classes in Virginia. The communities that began in the last five years with the help of more than $8.5 million from the churchwide budget and staff, as well as supporters around the church, “remind [us] that our best life is still ahead of us,” the Rev. Jane Gerdsen, chair of the church’s Genesis Advisory Group on Church Planting, told ENS. “And although the church has done amazing things throughout history, we still have a story to tell, and that God is out ahead of us and that God is growing new communities and churches and growing people – disciples – that will speak to future generations and will reach out to build relationships with emerging cultures,” said Gerdsen, who is missioner for fresh expressions and praxis communities in the Diocese of Southern Ohio. Traditionally, churches planted new congregations where they saw or anticipated growth, in cities, towns and even rural areas, as suburbs pushed farther out from city limits. Even if they began in a house and then moved to a place in the community, like a small retail mall, the congregations eventually built a structure and settled in. The 1950s and 1960s were the heyday for this sort of ministry in the Episcopal Church, as well as in many other denominations. Those sorts of churches still get planted and they flourish. For example, in Arizona, the Church of the Nativity began in 2006 in members’ homes, moved to an elementary school on a growing edge of Scottsdale, and spent five years in an office building before moving into a new church building at the end of 2012. The Diocese of Northern California’s Faith Episcopal Church began in 1991 in a priest’s home near Cameron Park, California. 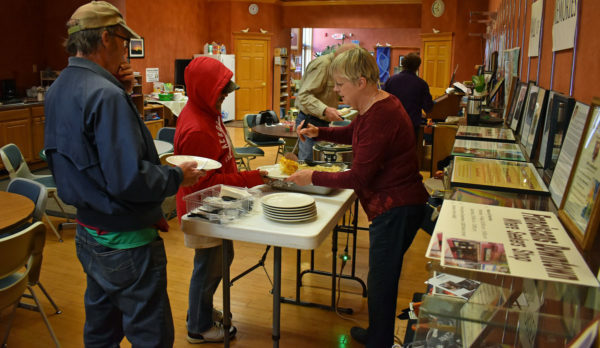 After 11 years in a storefront, the congregation bought 10 acres of land and moved into a new building in 2011. Grace Church in Yukon, Oklahoma, was planted in the building of an older congregation that had closed. In recent years, planting churches has been less geographically oriented and more focused on the work of evangelism, racial reconciliation, food justice and creation care. This generation of church plants and so-called Mission Enterprise Zones involves faith communities based on farms and in coffee shops, in social-service agencies and in co-working spaces. Mission Enterprise Zones are designated geographic areas, congregations or dioceses with a mission focused on serving underrepresented groups, such as young people, poor and less-educated people, people of color, and those who never, or hardly ever, attend church. Regardless of their designation, these Mission Enterprise Zones are fostering relationships with people who might not otherwise come in contact with a Christian community. Many of these people are younger than most Episcopalians. They are different in terms of their ethnicities and socio-economic status. The work of racial reconciliation permeates many of the new communities. Those who form and nurture these communities are also learning lessons they want to share with the rest of the church. “I personally think that it is a sign of great hope that in five years, roughly, we have launched the equivalent of a new diocese spread out all over our church,” the Rev. 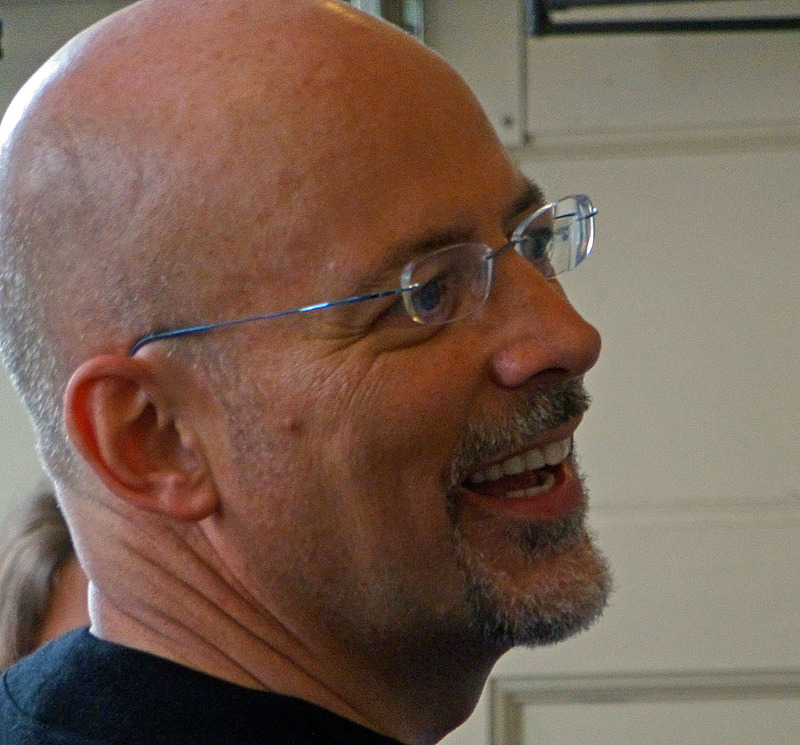 Thomas Brackett, Episcopal Church manager for church planting and mission development, told ENS. These pioneers’ experiences do not always follow a linear path upward based on traditional measures of success. Church planting is a risky business, financially, emotionally and spiritually. Each community began with someone having a vision and the ability to elicit the trust of others to join the journey toward realization. It was rooted in prayer and nurtured in love and patience. It is work not for a lone ranger, but for a dedicated team that has discerned its gifts and figured out how to use them to serve where God is calling them. The Rev. Susan Brown Snook, who planted the Church of the Nativity in Scottsdale and now works as canon for church growth and development in the Diocese of Oklahoma, likes to say church plants and other kinds of new mission initiatives “are the R&D department of our church.” These experiments hold lessons for the rest of the Episcopal Church, she told ENS. “The Christian faith has never been about being safe and comfortable; it has always called us into new frontiers,” said Snook, who just completed a six-year term on the church’s Executive Council, where she was a tireless advocate for continued funding of such projects. The work is not meant to form new communities to compete with existing congregations. “This is about reaching the people who are in our communities who don’t know about Jesus or who have been excluded by other churches or who need a community of faith to support them in their lives and are not being reached,” she said. Funding this sort of growth has been a two-triennia process. General Convention allotted $1.8 million in the 2013-2015 churchwide budget for matching grants to help dioceses establish Mission Enterprise Zones and support new church starts. Matching grants were available up to $20,000 for a Mission Enterprise Zone and up to $100,000 for new church starts. That money helped start 13 church plants and 25 Mission Enterprise Zones. The latter were defined as a geographic area, a group of congregations, or an entire diocese committed to mission and evangelism that engages underrepresented groups. The zones would be granted greater freedom as authorized by the diocesan leadership regarding the designation of “congregation” status, traditional formation for and use of ordained leadership, and the use of authorized texts for principle worship gatherings. Only five of those 38 new ministries are no longer in operation today. The 87 percent success rate compares to the 68 percent of new churches found in a survey of 40 denominations that are still going in their fourth year. The work within the Episcopal Church got a large boost in 2015. The budget originally proposed to General Convention by the Joint Standing Committee on Program, Budget and Finance (PB&F) contained $3 million for starting new congregations. During the budget debate in the House of Deputies, the Rev. Frank Logue, a Georgia deputy and then PB&F member, proposed adding $2.8 million more for evangelism. He argued that the convention ought to give newly elected Presiding Bishop Michael Curry the support he would need as the church’s “chief evangelism officer,” a title Curry had said he would claim. The Genesis Group recently reported that it received more than 120 grant applications and recommended funding for 66 new ministries, with $3.4 million allocated to fund new church plants and Mission Enterprise Zones. The money granted in the 2013-2015 triennium and the budget increase for the current triennium represent both a major change in the church and a return to an older tradition that got lost along the way. That movement “actually says a lot about people’s commitment to doing this work, and for that I am grateful,” Brackett said. “A goodly portion” of the money in the current triennium that was allocated for new church starts instead has been used to help establish what Brackett calls the “infrastructure” around new church starts. Enter the Rev. Mike Michie, who joined Brackett as the staff officer for church planting infrastructure. Brackett has thus been able to concentrate more of his time with congregations that are looking to redevelop their mission and ministry. Part of that work represents a change from what was a more flexible and more experimental approach to how grant applications were reviewed and approved during the 2013-2015 triennium. Recipients now must certify that they “have every intention of becoming a word and sacrament community at some point,” Brackett said. For instance, their ministry plans need to have “90-day micro-strategies,” and recipients’ coaches push them to stay true to their plans. “We’ve now taken this to the next level,” Brackett said of the work he and Michie have been able to do. Groce of Appleton Episcopal Ministries in the Diocese of Atlanta is a recipient of that new level of support, as well as a grant to pay for new ministry in the Macon area, and it moved her to tears when she talked about it with ENS. Groce also has been inspired by the stories of other mission developers’ joys and struggles, which they shared during a meeting organized by Brackett and Michie. These were the experiences of “people in completely different parts of the country who were looking at doing ministry in a different way,” she said. That gathering made the church’s idea of being the Episcopal branch of the Jesus Movement “incredibly real on a whole different level,” Groce said. Part of the work, especially in this triennium, has centered on developing methods for helping potential mission developers discern their gifts while understanding what talents they might need to find in their communities to help them. Brackett added that it is also about discerning one’s goals and reasons for wanting to do the work. Such conversations involve understanding how well a person knows that community and how strong the person’s relationships are outside the world of the church, he said. Brackett and his colleagues have plans for widening and reinforcing the work of mission developers. They want to continue the idea that the churchwide budget has matching money to partner with local Episcopalians who feel called to start new faith communities. Not all dioceses and congregations have that kind of money available, but they have buildings and other assets. Many of them come to the churchwide staff and the gatherings that they host to learn from the wisdom that has spread across the church. Brackett recently proposed to Executive Council that the church foster what he predicts will be three-quarters of new ministry opportunities that can come by redeveloping existing congregations, especially in the area of starting “new culture congregations.” Those existing congregations, perhaps working in clusters, would spend 18 to 24 months learning about the changes in their communities and gain expertise from current mission developers on how they could minister amid their changed neighborhood. Then, they could sponsor a new ministry with people who do not normally come to their church. Money to pay for the venture would come from three sources: the churchwide budget, the diocese and the local congregation, he said. That program is, in part, dependent on the budget process and on the other ways in which General Convention this July chooses to continue the work of church planting. Initiatives for new church starts and Mission Enterprise Zones face a somewhat rocky road, as the Executive Council tried late 2017 and early this year to craft a draft budget to send to the PB&F committee. Earlier iterations included drastic cuts. The final draft budget increases the money allocated for evangelism over the earlier version because, in the words of House of Deputies President the Rev. Gay Clark Jennings, council heard a “clarion call” from the church to do so. The Genesis Group has proposed that the 2019-2021 budget include $6.8 million for such work. Are we still funding that for-profit yoga studio in Chicago as a “new church start”? In the last class of Tom Brackett’s questionable projects to throw money at, not one of the funded projects looked remotely like evangelism to me, a 40-year commissioned evangelist with a national preaching license. Now he wants us to believe new recipients must promise they “have every intention of becoming a word and sacrament community at some point” – meaning that first class didn’t intend actual worship, and still got $3 million. When is “at some point” anyway, sir? Most of what TEC calls “mission” is social work; it may be holy, but it isn’t mission. This is mission: “Go and make disciples of all nations, baptizing them in the name of the Father and of the Son and of the Holy Spirit, and teaching them to obey everything I have commanded you.” We call it Christ’s Great Commission but The Episcopal Church utterly refuses to obey it. We can’t stand how other churches do evangelism, so we won’t do it at all. Then we get all distraught when churches close, when we never lifted a finger to keep them open. As for Michael Curry, no one can be Chief Evangelism Officer and Presiding Bishop simultaneously; the institutional/bureaucratic demands of his office take up 95% of his time. He may have caused a sensation at the royal wedding, but now he’s back to the daily grind of meetings, paperwork and foreign travel. Three “evangelistic events” in two years do not a crusade make. If this is helping to stem the decline of the church, we should put almost all of our money into it. I don’t get the sense that that is the case. Bishop Curry has done 3 evangelistic events in S.Carolina alone.He’s also preached at several Diocesan revivals.He seems so full of the Holy Spirit that just walking down the street is an evangelistic event.Before my college years at Sewanee,my church experience was Bible Belt old fashioned Church of the Nazarene.Attended my first evangelistic camp meeting at the tender age of 2 weeks.I know evangelism .P.B.Curry has it. Although I have formally left The Episcopal Church due to my experiences with DioVA and my former parish, as well as the church’s inability to address sexual harassment, I am happy to see this news. Less time and money spent navel gazing and more effort to actually be a church is mildly promising.